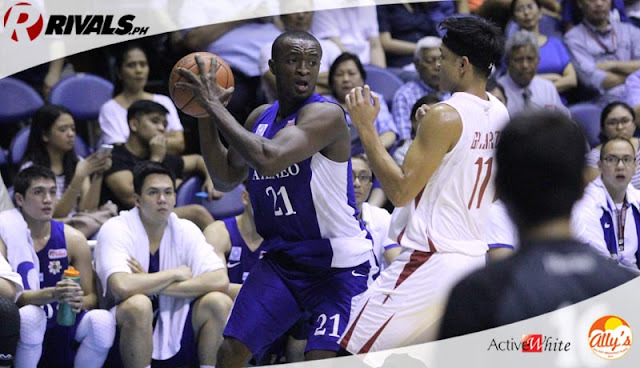 Hoop Nut #UAAP78 Ateneo Blue Eagles Ikeh Chibueze UAAP Ikeh Chibueze: Always two sides, there are. Ikeh Chibueze: Always two sides, there are. *The view expressed here is my own and does not necessarily reflect the views and positions of the institutions for which I work/to which I am connected. I don’t really know what the truth is amidst the controversy surrounding Ateneo Blue Eagle Ikeh Chibueze. I will leave that to due process. By and large, however, it seems like what has been put out there stems from only one side of the issue, and when we start bearing down judgment on someone (be it Ikeh or the other party) based on a skewed understanding of events, then we fall (knowingly or not) into the trap of being prejudiced and unfair. Again, I don’t really know the truth. I am not privy to whatever allegedly transpired. But I do know this: there are always (at least) two sides to every story. That’s one of the most important things I've learned as I've gotten older, and it’s certainly something I deal with regularly in my line of work. In circumstances like the one embroiling Ikeh, things are very often more than what they seem. Yes, even when your child tells you someone hurt his feelings in school, even when a close friend tells you his partner is not treating him well, even when a colleague tells you about how another co-worker has been quite difficult to work with, even when you feel absolutely sure a certain person is the be-all and end-all of all your problems. Even then, there is another side, another layer, another context. I won’t presume to know Ikeh’s side. I’ve heard things here and there, yes (by this time, who hasn’t? ), but I really have no way to establish complete veracity beyond even a sliver of doubt. And it is not my place to do so. Again, we must trust due process. And though this is often a cliche we choose to brush off, it is something we must also adhere to: a man, any man, is innocent until proven otherwise. To be quite honest, I do feel bad for Ikeh. He’s a stranger in a foreign land who, up until this point, hasn’t really been involved in anything close to a controversy. I mean, the most controversial thing about him is how the heck can he miss wide open lay-ups when he’s ripped the way he is and he towers over almost everyone in the UAAP, right? I see him walking around the Ateneo campus, and he, quite literally, sticks out. He’s huge and, perhaps for a lot of people, quite intimidating. Right now, however, deep inside, he’s probably full of worry. Okay, let’s see. What do we know so far anyway? Take note, I didn’t say these were facts. These are what we know based on what’s been widely reported. These are puzzle pieces. The bigger picture, the real picture, is far from complete. Maybe some of these pieces won’t even fit. Who really knows? For the sake of this piece, though, I’d like to glean “what I know so far” from what I believe has been the most objective reporting of this incident. Interestingly enough, it doesn’t come from any of the broadsheets — the reputations of which may or may not be tainted in one way or another depending on whom you ask. Rather, let me direct you to the start-up sports site Tiebreaker Times. In particular, read THIS PIECE written by one of its founders, Matthew Li. I didn’t detect even a hint of judgment or implied or accidental bias in his work. “According to a source that has been closely monitoring the incident before it escalated last night, the complainant is a foreigner from Guam. The source describes her as a middle-aged woman, around late 40’s to mid 50’s, and is known among the basketball circles, both collegiate and professional basketball. She has gone back and forth from Guam and the Philippines for quite some time to watch the games and is known by a handful of local players. Ikeh, who was 19 years old at the time, and the Guamanian met a year ago during the student-athlete’s residency stint with Ateneo Basketball’s Team B. The two became close but the relationship never went beyond normal friendship according to Ikeh’s confession to the source. The relationship between the two then grew sour said the source but Ikeh made it clear to the source that she was never his girlfriend. The source added that later on the Guamanian wanted to reconcile with the young Cameroonian (sic) multiple times but were denied. Then, early this year, she confronted Ikeh in his dormitory at the Ateneo campus the source recalled. The source described the confrontation as ‘scandalous’ since a lot of Ateneo dormers witnessed the shouting match between the two. The source added that she wanted Ikeh to return the cellular phone she gave Ikeh as a present. Ikeh though dropped the cellular device to the ground the source claimed resulting to the Guamanian to storm off. After a cursory reading, it may actually be interpreted that it’s the other party who may be put in a bad light in this issue. If the ages are accurate, it appears that the lady’s actions may be construed as steps in taking advantage of a young foreigner who wants to establish a foothold in the Philippines. One again, though, this is all initial speculation and interpretation. We don’t know for sure. There is certainly another layer or side to that as well. I don’t know Ikeh personally. I see him on the Ateneo campus a lot, and I’ve met him a couple of times in the context of observing the Blue Eagles’ practices. That’s basically it. Based on those very limited observations and interactions, he has given me the impression that he’s a soft-spoken and gentle giant (who just happens to gobble rebounds for breakfast, lunch, and dinner). I have, however, heard and overheard a lot good things about him. From what I remember, Ikeh came to the Philippines from his native Nigeria after he was recruited by Ateneo a couple of years ago. He was about 6’8 at that time and was one of the top 50 or so young players in Nigeria. Surprisingly enough, he was also trained as a wingman back then. 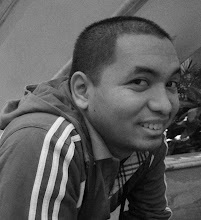 If my memory serves me well, among all the imports recruited by the Blue Eagles (Sega, Karbala, and Isaac Allen were the others), he was supposedly the one who got the highest score in the Ateneo College Entrance Test. I’ve also heard about how he’s a stickler for cleanliness. I remember in one of the practices (I think he was still in Team B) in 2014, he was reminding one of his teammates about cleaning their dorm room (he rooms in with a couple of other Ateneans), and, in one conversation, one of his Glory Be teammates did confirm that Ikeh wanted things spick and span. He has also been known to go on late night runs to get food for his roommates when their allowances are running low. Before Season 78 began, I remember talking to one of the Team B guys this past summer and asking about what they’ll miss most about Ikeh. He described how Ikeh just looked after everyone on and off the court — how Ikeh was seen as a “kuya” of sorts. Ikeh would be on their case if he knew they missed or were late for a class, and he would also constantly remind them to go to the Church of the Gesu to pray. These anecdotes may not provide significant material for any of the steps required to resolve the whirlwind of circumstances surrounding Ikeh, but they do reveal a little bit of Ikeh’s character and give us a glimpse into his context. One other thing I’ve been asked is this: how different is this from the John Apacible incident? Again, I don’t speak for any institution, but off the top of my head I think the circumstances contributing to John’s case were clearer. There were clear (and documented) missteps committed, and consequences had to be faced. In Ikeh’s case, things are far from crystal clear. We have just one side being reported. It seems, however, that many have already treated it as truth when, in fact, they are just allegations. Due process needs to be given its day, and so does Ikeh. Remember that there is at least one more side to this story that we haven’t seen or heard. That means we shouldn’t be quick to pass judgment, whether on Ikeh or on the other party.